"The training and feedback from the P. Kasper & Associates expert allowed me to feel well-prepared and confident about future monitoring visits. Her input on my visit report and follow-up letter was invaluable." With a newly hired CRA coming on-board, the senior director of a small biotech company had some concerns. The CRA had coordinator experience but had never done field monitoring. The director, who was strapped for time and hadn't been out in the field for a number of years, had few options for internal training. Lacking an in-house solution for training and supporting monitors, the company turned to P. Kasper & Associates. "Our training is tailored to the exact needs of both the employee and the project," Kasper explains. "We complete a skill set analysis, and using a detailed performance plan, target our training and mentoring to address specific needs." Kasper's one-on-one customized training can take anywhere from a few days to a few weeks, depending on the breadth and depth of the performance plan. Understanding the critical importance of deadlines, P. Kasper & Associates matched the company with an experienced CRA, who was also a talented and engaging trainer. She assessed the needs of the new CRA, set up a schedule, prepared the CRA for the visit, and then accompanied her to the site. Within 3 weeks of the request, Kasper's associate had trained a junior CRA, giving her the individual support and hands-on experience necessary to increase her confidence in performing the requirements of her job. "Our guidance, instruction and encouragement maximizes the opportunity for success for both the CRA and the company," Kasper states. "It's a very gratifying process." 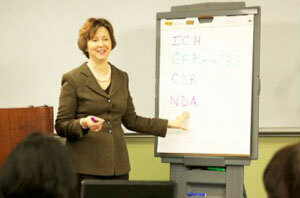 Learn more about P.Kasper & Associates' efficient and client-specific Customized GCP Training. "I need your help," implored the email that popped up on Patty's screen. The Director of Clinical Operations, and a long-time colleague, reached out to P. Kasper & Associates for assistance in training her department. The newly hired director at a small pharmaceutical company was interested in updating her staff on Good Clinical Practices, which is key to understanding and complying with relevant regulations in any clinical trial. "We immediately assessed her needs and developed a customized one-day workshop that was within her budget," Kasper explained. "We chose a combination of both standard and custom models that used company-specific documents." P. Kasper & Associates standard modules are ready-to-go, focused and economical while custom units result in efficient, client specific and highly effective training. All included Kasper's hallmark interactive exercises designed to provide real-life experience and keep participants active and engaged. Each of the eight modules was presented with a short lecture and a hands-on exercise leaving time for group discussion and brainstorming. Because P. Kasper & Associates is a Continuing Education Provider, all participants received 9 BRN contact hours that they could use for maintaining licenses or certifications. "By combing both standard and custom training units I was able to train my team quickly, and in the most cost effective manner possible", Sally explained. "The standard units provided great background while the custom units related to the specific tasks we had ahead." 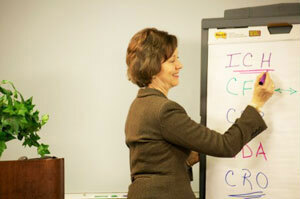 Learn more about P.Kasper & Associates' focused and economic Standard GCP Training. After three years as a lab tech at a biotech company, Sayah, a recent college graduate at her first job, felt she had hit a ceiling. "I didn't see myself moving up from there," she explained. So she started a job hunt for other opportunities in biotechnology. When she came across clinical research, she thought, like so many early in their careers, "I can do that; but how?" Moving from the lab to clinical research wasn't easy. Sayah encountered many closed doors, even with a prestigious Bachelor of Science degree in Integrative Biology from UC Berkeley. While a science degree was helpful, it didn't provide the specialized training necessary for a move into clinical research. Eventually a recruiter recommended taking the Clinical Trials Design and Management Certificate program through UCSC extension, a move that Sayah said "catapulted me into a successful clinical research career". During that program Sayah turned to Kasper for mentoring as she prepared for her career shift. "Patty's knowledge of the industry was invaluable to me," Sayah said. "As a hiring manager for ten years, she knows exactly what employers are looking for and how to get their attention." Kasper guided Sayah through the process of developing an attention-getting resume and later evaluating the multiple employment offers received. "Because of Patty's credibility and her industry connections, she is a great resource for those searching for a job as well as the companies that are looking for exemplary new employees." Today, Sayah is a clinical research associate (CRA) at a medical device company where she oversees the proper conduct of clinical trials that comply with good clinical practice (GCP) and follow industry guidelines and standards. She is looking forward to a promotion to Senior CRA after she passes the ACRP exam. Load your resume with key words to show you know the industry. Use active verbs and be quantitative whenever possible. Highlight your accomplishments and list information in order of importance. Resumes are not "one size fits all". Take the time to adjust your resume to better reflect the job description. Proof your resume...and then proof it again. 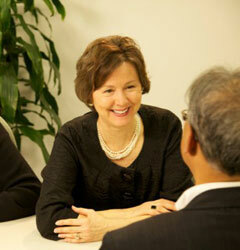 Learn more about P.Kasper & Associates' Job Search Mentoring. The decision to change careers is not an easy one. It often occurs at a time of personal and professional maturity. The career that once provided satisfaction and excitement becomes less rewarding. Michael was in just this situation. This highly educated man was working in the department of psychology, first at UC San Francisco and later at prestigious Stanford University. Having achieved tremendous success, Michael soon found himself at a dead-end with few career advancement opportunities and he began to feel less satisfied. "In my job I had worked on clinical trials and liked them," Michael explained, "and I began to think that the pharmaceutical industry would provide me with more opportunities." He realized that in today's tough job market, employers want to hire people who not only know the industry, but also know how to get what they're after. Michael began by taking Kasper's Monitoring I Class through UCSC Extension. "It takes hard work to learn the science, the medicine, and all the rules and regulations," Michael admits, "but the reward is well worth the effort." Recognizing his tremendous potential, Kasper began mentoring Michael to ensure that his new career aspirations would become a reality. P. Kasper & Associates' mentoring services provided Michael with the support and guidance he needed. "Our expertise is in a very specific market," Kasper, a 20 -year industry veteran explains. "We know the industry, where the jobs are and the key players, as well as how to get their attention with a carefully written resume." Kasper began by working with Michael to develop a detailed career plan with goals, objective and a clear and well-defined action plan. Success followed quickly for Michael with a job as a clinical research associate at a start-up pharmaceutical company. As Michael began his career transition, however, he had to come to grips with the fact that there would be a substantial, although temporary, salary reduction. "It's just a fact," Kasper states. "But the increase in job satisfaction and career growth potential make the short-term salary reduction more palatable." In Michael's case, he took a 30 percent salary cut but advanced quickly from research associate to the director of clinical operations with a salary significantly higher than in his previous career. "A job is far more than a job. Being happy in your career has an immeasurable effect on your quality of life," reminds Kasper. "And sometimes you have to take one step down to take two up." Michael's advice to those aspiring to a career in clinical research? "Take your time to find the right opportunity. Find a mentor, learn the industry, network, get the right fit and enjoy your success." 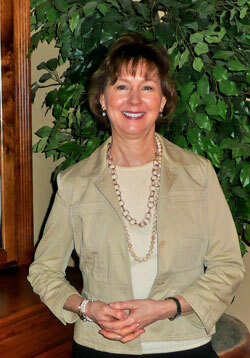 Learn more about P.Kasper & Associates' Mentoring for a Career in Clinical Research.